I place the sweet potatoes on the warming rack of my grill. When soft and tender, remove from grill and enjoy immediately. They are best still hot, like French fries. If you are serving them room temperature, brush with a little best-quality olive oil and sprinkle with salt. 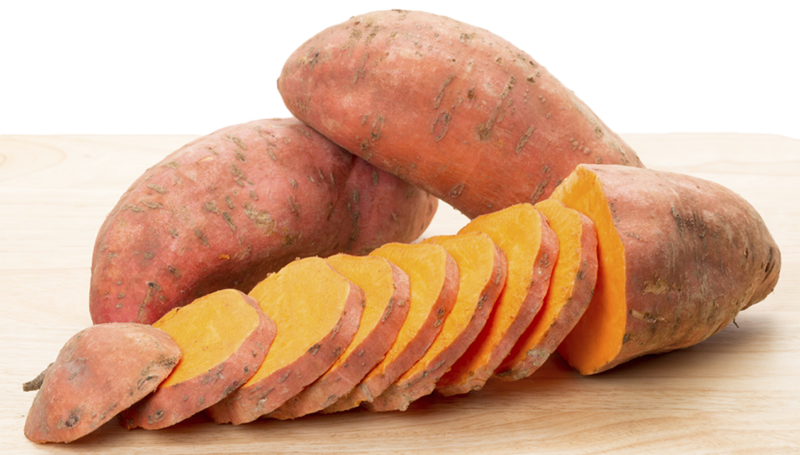 Peel sweet potatoes and slice into ½-inch thick slices. Just before placing on the grill, season liberally with salt. Place rounds directly on the cooking grate over direct heat and grill 2-3 minutes on each side or until well-marked. They will still be raw and will need about 20-30 more minutes to cook through. Move to indirect heat to finish cooking, and turn halfway through cooking time.